Here at Buckdesign we care about the environment. Through an open well (-60mtr) heat is drawn from ground water. During the winter months this is the sole supplier of our heat. In the summer the system works in reverse, acting as a top-down air-conditioning system. 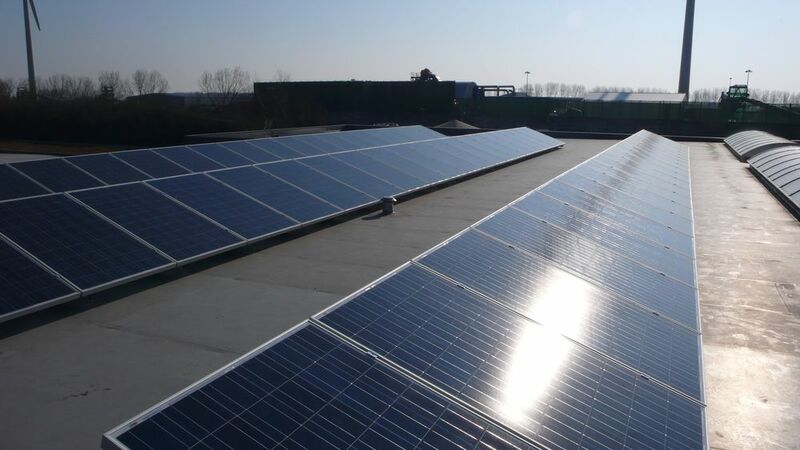 The energy needed to power this system is provided by PV solar panels with an output of more than 15.000kWh per year, making the heating and cooling system 100% energy neutral. 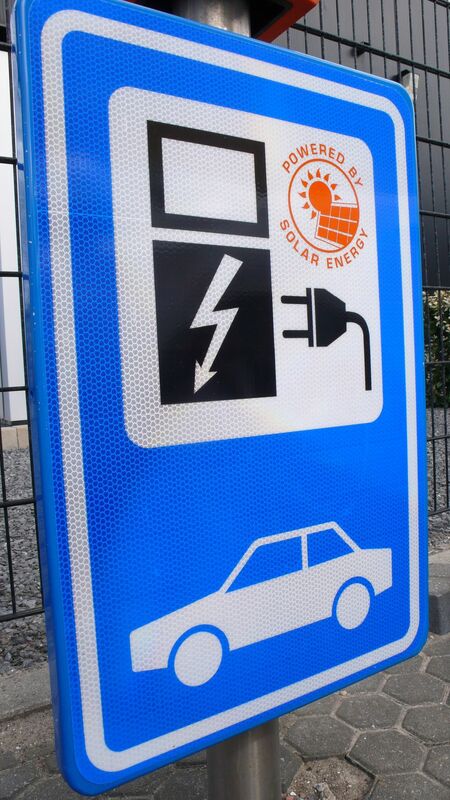 Our solar panels also provide energy to a pole in front of our building, used to charge hybrid vehicles. This opens the possibility for our employees and customers to drive in an eco-friendly way. In addition our modern building is equipped with a heat regain system and high quality isolation. Visit this link to get an overview of the energy our solar panels produce. Because of the worldwide cooperation with local OSPI partners we make minimal use of transport. Also, when our trucks are used there is less fuel consumption because the stands are built from light-weight, aluminium extrusion profiles from Octanorm. This results in less weight, which means a sizeable reduction in carbon dioxide emission. Beside, Octanorm products are of high quality and have a long life-span. This means the products are not merely used for one exhibition, we reuse them a hundred times. When the materials are not suitable for usage anymore, all the Octanorm materials will be 100% recycled.